You won’t get far in today’s business world without reliable wireless access. Online connectedness enables many modern professional tasks, and lost service can lead to countless losses in productivity, communication, and basic record keeping. With wireless service, there’s really no “pretty good.” It either works perfectly or it’s unacceptable. When shopping for wireless access points (APs), you need the best. Here are, in no specific order, the manufacturers that produce the top wireless access points around. Cisco’s wireless access points live up to the expectations customers have for this company, whose reputation for excellence is legend. Their progressive technology boasts capabilities that outreach the 802.11ac standard, meaning that a modern Cisco AP will have you ready for future developments in networking and allow you to keep up with the variety of devices your clients prefer to use. 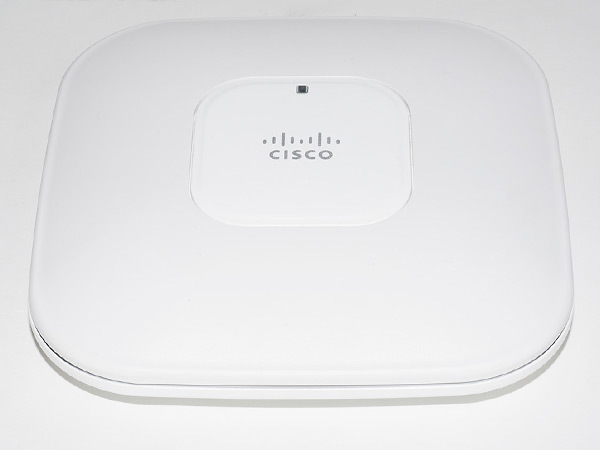 Cisco’s access points come in two lines: Aironet and Meraki. Both lines are versatile enough to thrive in any environment, but each has attributes that make it perfect for certain situations. Aironet APs are built with mid-to-big enterprise environments in mind, and you’ll need a separate controller for your system. With a Meraki, you’re cloud-powered. Meraki APs used cloud-based controllers, saving you maintenance time and providing high-power connectedness for your small-to-medium sized business, enterprise organizations, or educational and government institutions. Aruba WAPs are built with a variety of users in mind. These products offer speedy information delivery and accessibility to computers relying on older IEEE standards. They’re also energy-efficient; both the Wave 1 and Wave 2 models can offer up to 30% more battery life, according to Aruba’s website. Real-world offices aren’t always shining with the light of state-of-the-art equipment, and Aruba’s WAPs help keep those everyday workers connected. Note: With Hewlett-Packard’s recent purchase of Aruba, the Procurve line of switches is currently being rebranded as Aruba. You’ll be seeing this name a lot in the near future. Thrift and variety. That’s what you get with Ubiquiti. While large networks can overload Ubiquiti systems, these APs are the perfect solutions for small business and schools looking to stay connected without overloading their budgets. They offer a number of different models that focus on a range of needs, from long-range access to outdoor use. Plus, their sleek, minimal designs will keep your workplace looking modern, clean, and tidy. Ruckus seeks to produce equipment that’s intuitive to use without sacrificing power. With their current line of wireless access products, they’ve succeeded. You won’t have to worry about losing connection with Ruckus. Their BeamFlex technology is really something special—it allows the AP’s antennae to monitor the environment and hone in on appropriate signals, preventing stray radio and other electrical signals from muddying up your airwaves. BeamFlex works continuously to optimize your network’s resources. Ruckus also makes a point of designing products that are easy to set up. Aerohive’s focus on innovative solutions to access point issues has produced a lively buzz. The Aerohive cloud-based controller makes these APs ideal for networks with heavy mobile use. As mobile use continues to grow—and it will continue to grow—networks will need to move further and further away from the old Ethernet and cable-based world. Aerohive is aware of this movement and is helping to shape its direction. Aerohive also automates many technical organization tasks, allowing managers to focus on high-level issues like filtering out junk traffic and promoting the good stuff like audio and picture quality. A smart system that does your work for you gives managers the power and resources to design ideal networks. The Best Wireless Access Points: Which Will Be Yours? Your access point provides the foundation for your network. The technology you choose will allow you to shape your business’s online reality. Give your options a good deal of thought. Each of these companies is doing things right, but each one is doing things differently. The differences might look subtle at first, but they’re significant.